Japanese American martial artist, Taky Kimura, was born on March 12, 1924. 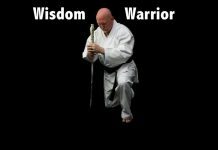 He was one of Bruce Lee’s top students and closest friends – and he was one of only three individuals personally certified as an instructor in Jun Fan Gung Fu and Jeet Kune Do by Bruce Lee, along with Dan Inosanto and James Yimm Lee. Taky Kimura was best man at Bruce Lee and Linda Lee Cadwell’s wedding and sadly, one of eight pallbearers carrying Bruce Lee’s casket as Lee’s funeral. The other pallbearers were Dan Inosanto, Steve McQueen, Chuck Norris, James Coburn, George Lazenby, Ray Chin and Bruce’s brother, Robert Lee. During World War II Kimura and his family were interned in War relocation centers because they were Japanese Americans. One day before his high school graduation Kimura and his family were taken first to Tule Lake and then moved to Minidoka. When Taky Kimura and his family were finally release from the internment camp after World War II, they had no money and moved to Seattle Washington where they began operating a supermarket store. Because Kimura was unable to graduate with his class and with no opportunity to attend college, Kimura found himself depressed and unmotivated. In 1959, when Taky Kimura was in his mid-thirties, he met Bruce Lee, who was already making a name for himself as a martial artist. Bruce was eighteen. Kimura joined Bruce’s early kung-fu club where Lee was teaching his version of Wing Chun called Jun Fan Gung Fu, literally translated as Bruce Lee’s Kung Fu, (Jun Fan was Bruce Lee’s given name in Chinese). Kimura became Bruce Lee’s student, assistant, and at that time, his closest friend. 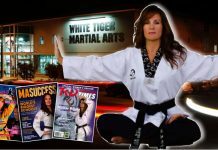 Together, they trained, sparred and practiced and then founded Bruce Lee’s Jun Fan Gung Fu Institute in the basement of the Kimura family supermarket, This is where Kimura became Lee’s first Assistant Instructor. It was because of his friendship with Bruce Lee and his dedicated study of Jun Fan Gung Fu and martial arts philosophy in general, that Taky Kimura was able to turn his life around. Taky Kimura currently holds a 5th rank in Jun Fan Gung Fu. 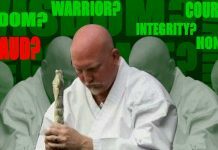 After his certification, Kimura was allowed to teach small classes under the mantra “keep the numbers low, but the quality high”. 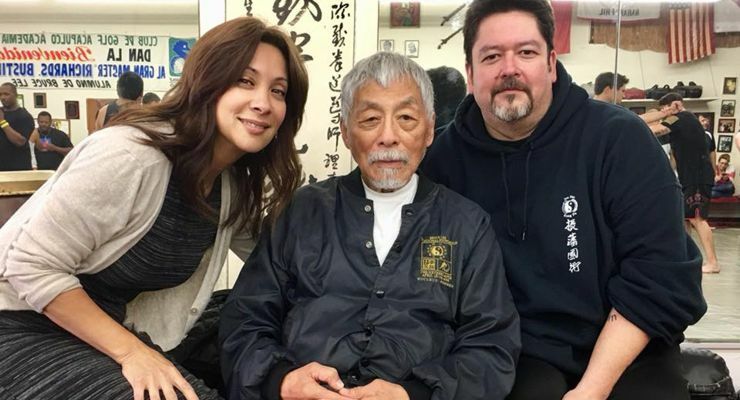 Kimura still teaches Jun Fan Kung-Fu in the basement of his supermarket, for free and the only individual that Kimura has certified as an instructor in Jun Fan Gung Fu was his son Andy Kimura. Taky Kimura appeared as an actor in Bruce Lee’s final film, Game of Death (1973). Kimura was initially asked by Lee to play the role of the “Guardian of the Second Floor,” a master of the Praying mantis kung fu style. However, the footage shot of Kimura was never used in the final versions of the film, which were recut and re-edited after Bruce Lee died in 1973. Taky Kimura appears as himself in a many documentaries, including Mellissa Tong’s Taky Kimura: The Dragon’s Legacy (2000), also produced by Quentin Lee. He is also in How Bruce Lee Changed the World (2009), Bruce Lee in G.O.D. : Shibôteki yûgi (2000), Bruce Lee: A Warrior’s Journey (1999), The Path of the Dragon (1998) (short documentary), The Life of Bruce Lee (1994), The Curse of the Dragon (1993), Bruce Lee, the Legend (1977) and Bruce Lee: The Man and the Legend (1973). 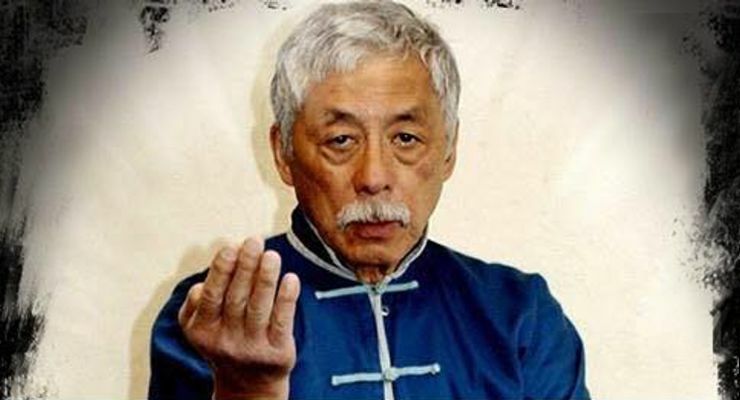 Taky Kimura also appeared in numerous television shows including a 1994 episode of Biography entitled Bruce Lee: The Immortal Dragon, and a 1999 episode of Famous Families entitled The Lees: Action Speaks Louder. In 2009, when Kimura was 85 years old, and nearly 67 years after Taky Kimura’s original graduation date, Taky Kimura finally received his diploma from Clallam Bay High School in Clallam Bay, Washington. He graduated as the high school’s salutatorian (the second highest graduate in the graduating class). Taky Kimura celebrated his 94th birthday in 2018.